(TibetanReview.net, Oct27, 2015) – A Facebook video showing an exchange about freedom and rights between Chinese protesters cheering their visiting President Mr Xi Jinping to the United Kingdom on Oct 23 and a British lawyer returning from work on his bicycle has gone viral on the internet, viewed more than 800,000 times in four days, reported independent.co.uk Oct 26. Most of them didn’t really want to talk, he has said, refusing to tell him where they had got their banners from. (Reports have suggested that the banners came right out of Chinese diplomatic bags.) One asked him about the UK and Scotland – “which is really a stupid analogy”. It only prompted him to ask her whether China would give Tibetans the vote. Powlesland has said that he acknowledged the right of President Xi supporters to demonstrate and has expressed delight the video had drawn attention to the fact the protest was “astroturfed”. 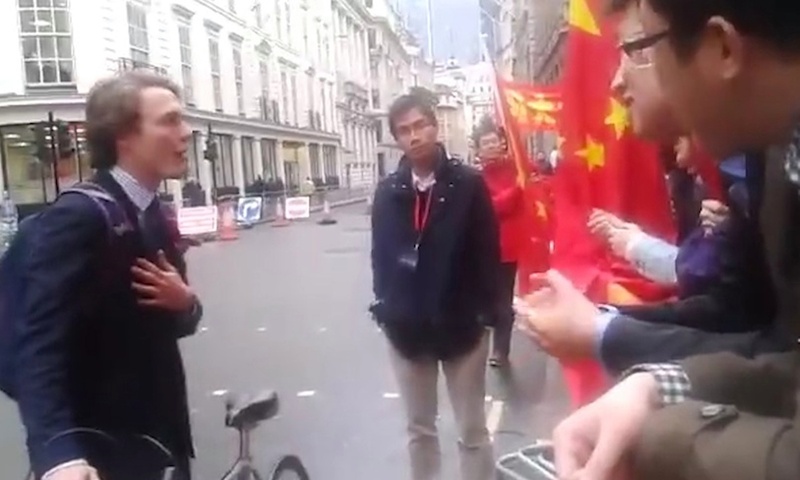 Alistair Currie of the Free Tibet campaign filmed the exchanges and posted the clip on Facebook. And it quickly became the campaign’s most widely shared video. 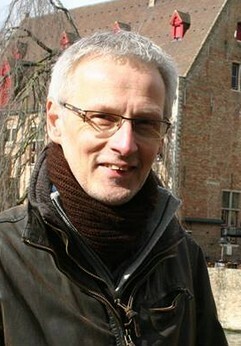 Alistair Currie of the Free Tibet. The report said Mr Powlesland had hundreds of replies to a comment he posted and hundreds of Facebook friend requests from Tibet. Besides, there had been lots of responses from Hong Kong democracy activists. Mr Powlesland has not previously involved in the Tibetan cause. But he now hopes to use his platform to give publicity to the Free Tibet campaign.